Our creamy Navratan Korma is made up of nine different veggies, fruit and nuts – making this our go-to celebration dish. Blanch all the vegetables, by first placing the hard vegetables (cauliflower, carrots and potatoes) into hot salted water for 10 minutes. For the final 2-3 minutes, add the softer vegetables (peas & beans). Afterwards, refresh all the vegetables in cold water to retain their colour. Heat the oil in a suitable pan over a medium to high heat. Crackle the Green Cardamom & bay leaves. Add the onions and cook till golden brown and soft. 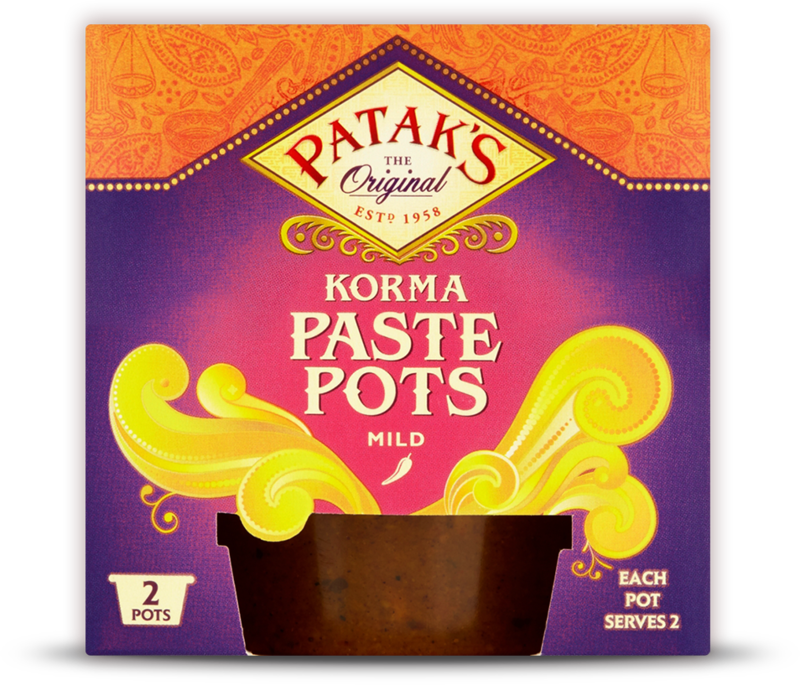 Add the garlic and ginger, Pataks Korma paste and 70 ml water, cook on medium heat until all the water has evaporated. Add the tomato Paste and 100 ml water and continue to cook for 2 minutes over a medium heat, then blend it to a smooth puree consistency. Place the blended sauce back into the pan and add the vegetables, paneer and cashews. Continue to cook for 2 minutes before adding the pineapple, cream and half the coriander. Serve in warmed dishes and garnish with remaining chopped coriander. A delicious rice dish, this one is simple to make and can be done with ease in the slow cooker. The spices of our Balti Spice Paste give the rice a real bite. Perfect as a vegetarian main meal, you could also serve it up as a side - just adjust the amounts accordingly. A great spinach side dish, using the high-in-protein Indian cheese paneer. It has a similar texture to tofu, so holds its shape perfectly and doesn't melt, meaning it is fantastic for cooking with. It goes perfectly with spinach, and the spices in the Balti Spice Paste I use really gives this traditional accompaniment a wonderful flavour.